Unlike the old days when every office was an almost exact replica of the next (give or take a few cubicles), today’s workplaces are defined by their individuality. Here are 10 that completely break out of the mould! Today’s workplaces are defined by their individuality and unique value proposition. Former bunkers, distilleries, and cinemas have been transformed into wonderfully designed and thought-out workplaces. Design factors like shape, color, and nature can inspire individuals to get work done and encourage them to interact with the space and others in it. One of our favourite things about the flexible workspace industry is its uniqueness. Unlike the old days when every office was an almost exact replica of the next (give or take a few cubicles), today’s workplaces are defined by their individuality. So in a bid to challenge ourselves, we set out to track down those that really break the mould — the weirdest and most wonderful workspaces out there today. 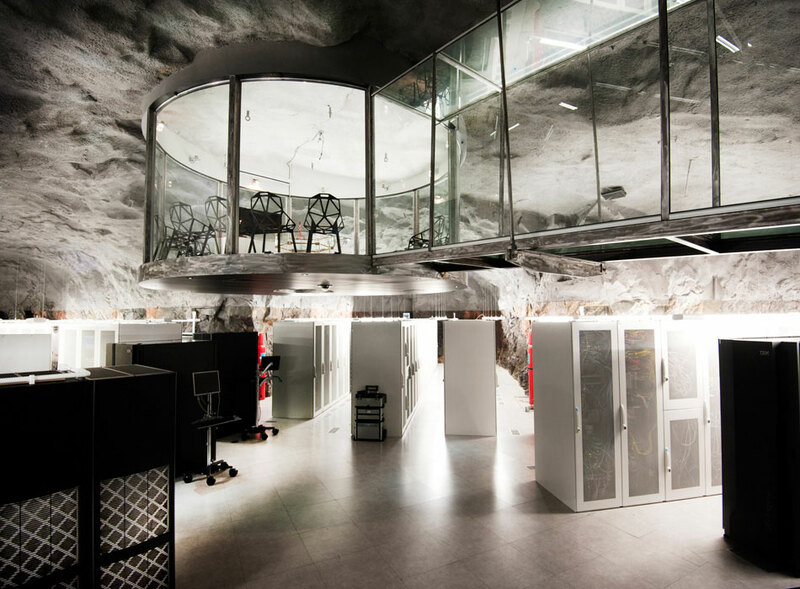 Hidden 30 metres underneath the granite rocks of the Vita Berg Park in central Stockholm is the impressive and impenetrable Pionen White Mountains. It was a nuclear bunker and command centre during the Cold War, designed to withstand the pressure of a hydrogen bomb. Nowadays, the space is the headquarters of Swedish internet provider Bahnhof and recently gained notoriety as the home of Wikileaks. Bahnhof’s CEO, Jon Karlung, is said to have drawn his inspiration for many of the space’s features from James Bond villains. 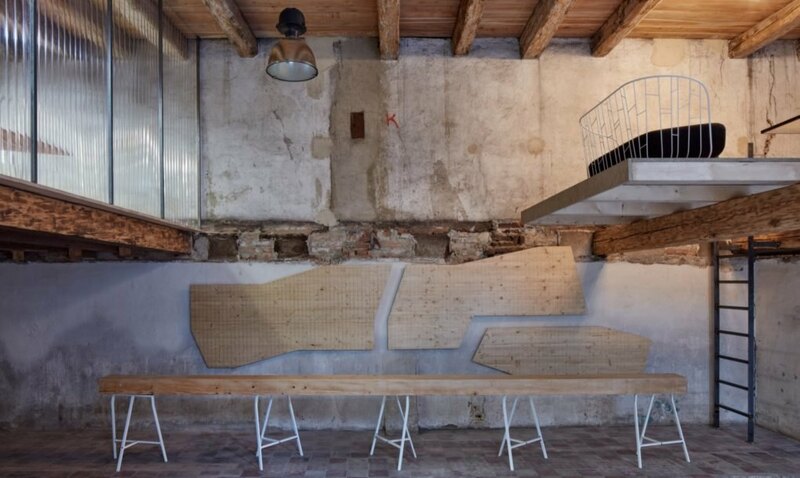 In 2018 local architecture studio KOGAA artfully transformed a deteriorating distillery into a dynamic coworking space, and managed to maintain its original character. Aptly named The Distillery, the coworking space features original infrastructure and a new drinks bar in a disused lift shaft, of all places! The bar leads nicely out to an outdoor courtyard where occupiers and visitors can relax and enjoy their beverage. This 1940s era ex-cinema in Italy is now inhabited by snow and skate company, Comvert. The 1,4000 sqm interior was designed and converted by Studiometrico to accommodate desk space, a warehouse, a showroom and a skate bowl. In 2009 it was awarded Archdaily’s Building of the Year in recognition of its extraordinary interior design. Designed by award-winning architect Zaha Hadid, this breathtaking office space takes the form of a large ship bound for the sea. The design concept makes a lot of sense when you learn that it’s the Antwerp Port Authority’s head office. It was designed as a symbol of the dynamic and innovative nature of the port. The space houses around 500 employees and also acts a meeting place for the community’s international contacts. 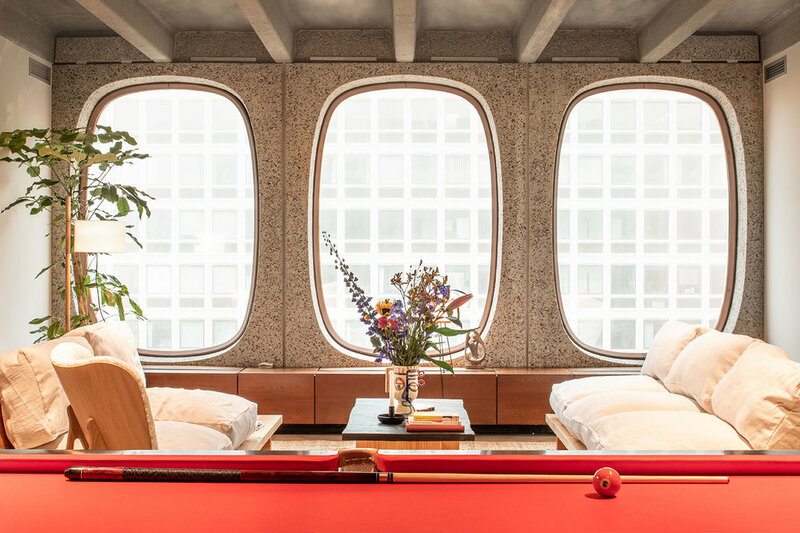 The building’s distinctive facade features 765 oval windows set in prefab concrete panels and the interior has been re-designed to emanate high-class hotel vibes. Coworkers can connect with each other and nature at TREExOFFICE. Solopreneurs who work here directly support the local environment as income generated is reinvested into the area’s parks and green spaces. The space was specifically designed to allow people to interact with public open spaces in a sustainable way. The structure is built around a tree and is made from compressed paper, translucent plastic and polycarbonate, enabling those inside to enjoy views of the park. 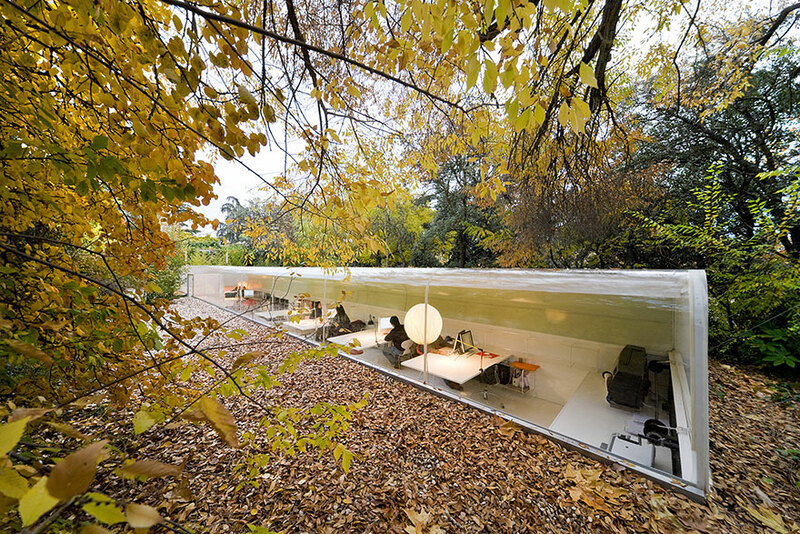 Spanish architects Jose Selgas and Lucia Cano of Selgascano designed this office located in the woods near Madrid for their own practice. Like TREExOFFICE, the aerodynamic tunnel-esque workspace enables employees to feel fully attuned to nature. It’s also environmentally friendly — the curved ceiling eliminates the need for artificial lighting during the day. We can’t help but think that this must be one of the most relaxing buildings in the world to work in! 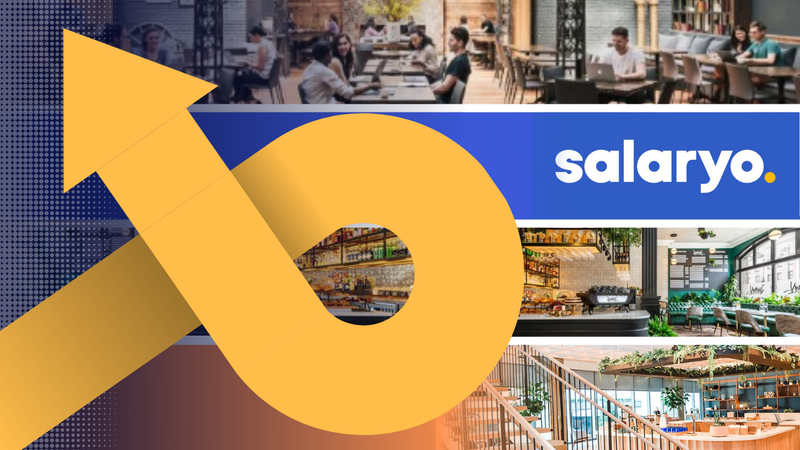 CodigoDelSur is an Uruguay-based mobile app and design development studio that found a new home in a 1920s mansion last year (2018). 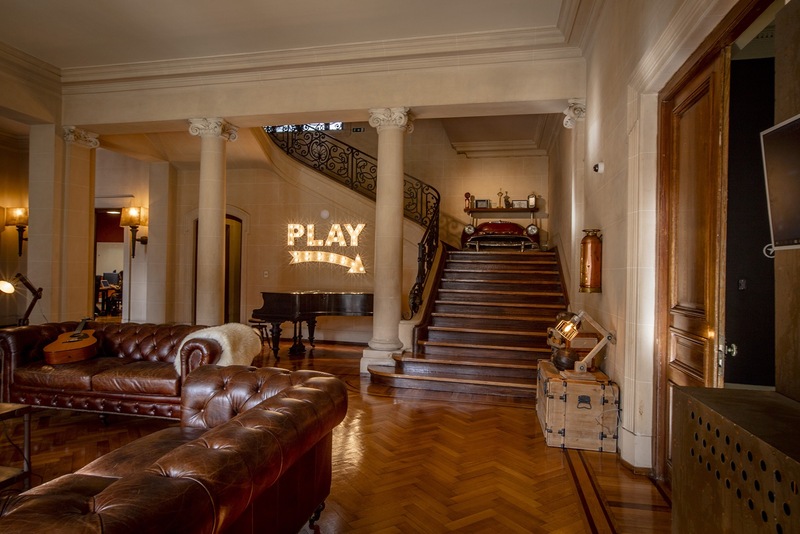 A living artwork in its own right, the company transformed the mansion into a Steampunk / surreal masterpiece. Cue fine leather chesterfield sofas, a grand piano and futuristic video art pieces. Masterminded by Cape Town coworking operator Work & Co, the Nova is a two by five-metre movable pod designed to support the needs digital nomads. The pod is fully fitted and furnished with speedy WiFi, a smart TV, a coffee machine (naturally), a charging station and much more. The pod runs exclusively on solar-generated electricity and there’s enough space to accommodate a handful of individuals at any one time. Chinese design company Yiduan Shanghai Interior Design’s impressive new office project is comprised of 10 stacked shipping containers. Each container has an adjoining outdoor void box which creates a volumetric building with three interconnected floors. The first floor is home to a reception and display area, the second is a cafeteria and the third forms a workspace. Nature is central to the design — a small river runs through the middle and there are a number of zen rock gardens dotted around the building. Visit Design Boom’s feature to view images of this incredible construction. 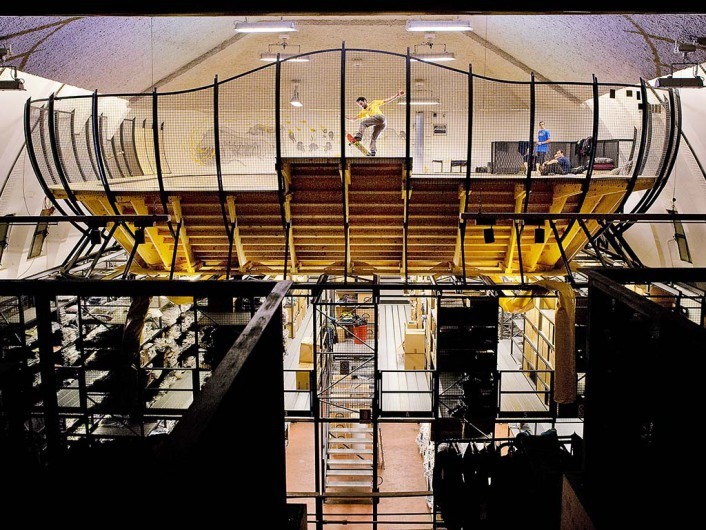 There you have it: 10 awe-inspiring workspaces in extraordinary buildings. 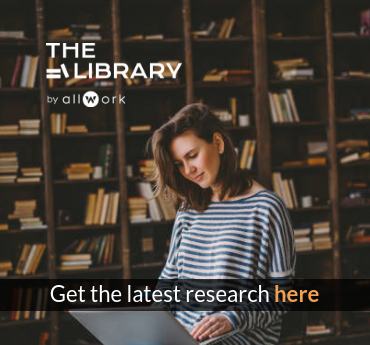 If you run an “extraordinary” coworking space that you think we should know about, tag us on Twitter @Allwork_space and we’ll be sure to share it with our followers.